Inspired by Sam I Am (who has limitless energy and projects going! ), I have decided to join the Ravelry group A Year Of Projects (YOP) . The group is open to anyone and the rules are simple, you set yourself a list of projects to knit (sew, crochet, any craft), post on the group's board, and blog about it weekly every Sunday with your progress (which makes my post 3 days late, I'll work on that!!). The YOP runs from July 1st through to June 30th the next year and you can really start anytime. I've been working on my project list for a few weeks while I've been waiting for my circular needles to arrive in the mail! 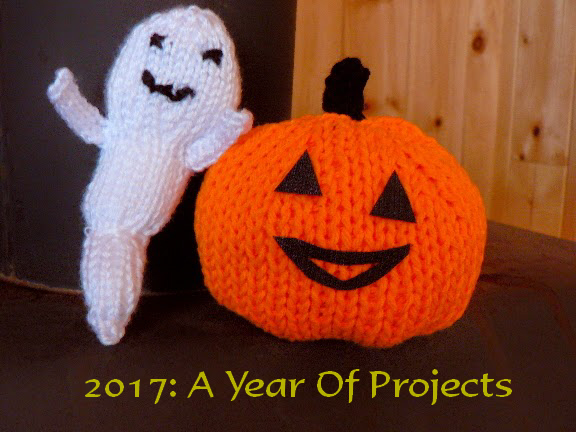 I knitted these two Halloween pals a long time ago and have since lost the patterns, but I remember having so much fun creating knitted crafts. My winters here in the mountains are long and now that I am powered by painkilling Arnica gel for my hands, I am giving knitting another go! 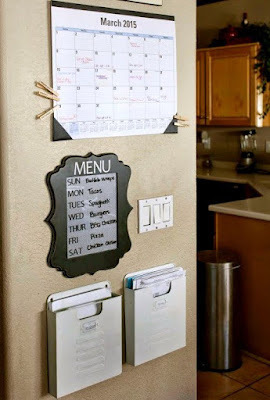 I think this is a great idea if you need a little support and motivation to get projects done. 1. Weekend Beach Cover Up: This is my first project, and I'll be starting this today. 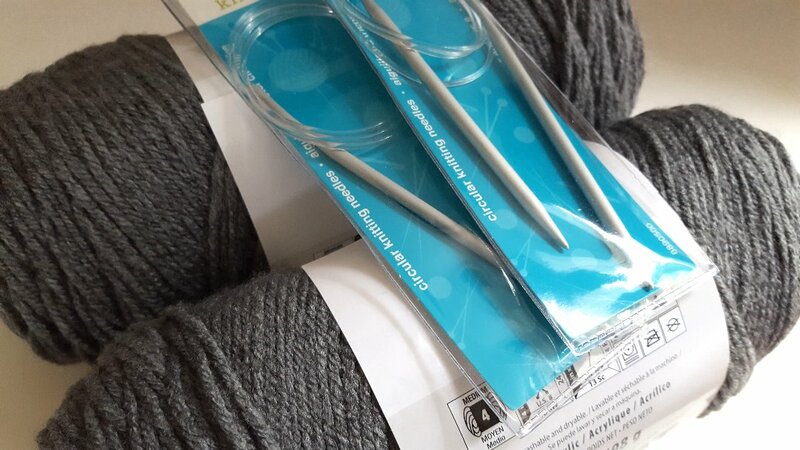 I now have the yarn, needles and pattern ready to go! In the summer when it's nice and hot outside, I spend most of the time on the porch in beach wear. I have one cover up, but I really would like to make one of my own. 2. Hudson's Bay Blanket: I found this pattern online a long time ago. It's for a baby blanket, but my goal is to make one that fits our Queen sized bed. I grew up with Hudson's Bay colours - they were everywhere from winter coats, to blankets to even coffee mugs! I looked into buying one last winter, but oh my gosh are they expensive....they are not priced from the 1980's anymore that's for sure! I want this to be my main project for the winter. I saw this on Pinterest and I love the idea. I haven't figured out quite what I'll be doing yet, but by the end of this year, I'll be much more organized!! 7. Cold Frame(s) for Winter Gardening: After building my own screened-in porch this summer, I think that building a cold frame or two will be a cinch. :) At least I hope so! I can always ask Alex for help, but there is something about building your own projects that is extra rewarding! The plan is to make two of them, and I'll likely need to build raised beds as well. I have two spots on either side of the porch that I'll use for greens and winter-hardy veggies. Very exciting! 8. 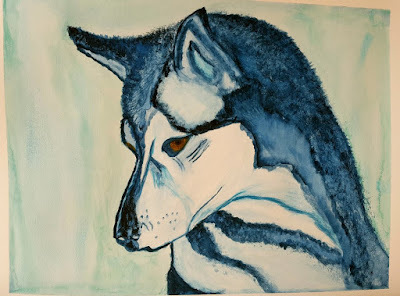 Painting: For whatever reason, I have stopped my painting projects. I'm saddened by this because it gives me so much pleasure. When I'm painting, I'm very creative and I really relax and enjoy myself. 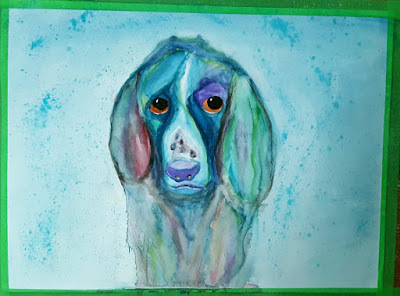 As some of my Blogger friends already know, I started painting watercolours of our pets. Charlie and Jack are done. My painting project for the summer and fall is to paint Marlene and the three cats Dana, Oscar and Leo. Our friend will be here this weekend to pick up Pavlov but there is a slight possibility that he will leave him for the summer with his other dog Stella (Pavlov's Mom). If so, I'll add those two to my painting list. 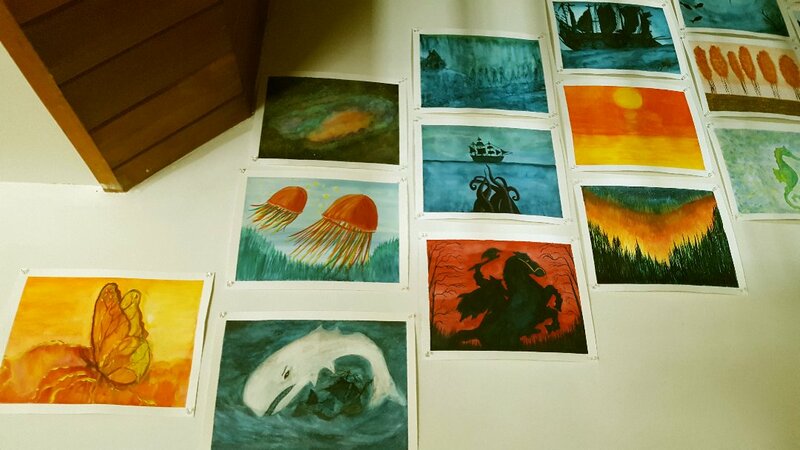 During the winter, I would like to challenge myself to at least one watercolour per month. I used to paint with oils and acrylics, so I might go back into that as well, but watercolours are just so vibrant! 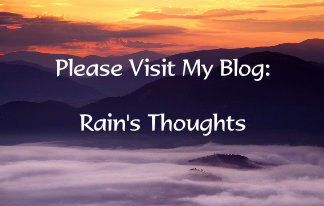 I'm so looking forward to getting to know you through your blog and seeing your creations, Rain. What a great variety of interests you have! Welcome to this year's Year of Projects. Your list of projects looks great! Looking forward to the next year blogging with you Rain. What a great diverse list of projects and I can't wait to see them all come to fruition. Ruth. Welcome aboard. So nice to see new people joining us this year. Cheese making! I am going to love watching that. Hopefully knitting will be pain free for you this time. I too use a cream for my hands when the RA makes knitting a bit uncomfortable. I use Voltaren......it works well. The last thing I want is something I have to think about which is surplus to what I already do. Hell, I don't need it. I just want to take it easy and enjoy life. So, no poetry group or story writing group is going to help me do that! Oh, I love your paintings! Do you ever sell any? They are so pretty and colourful. And you are busy, busy, busy. 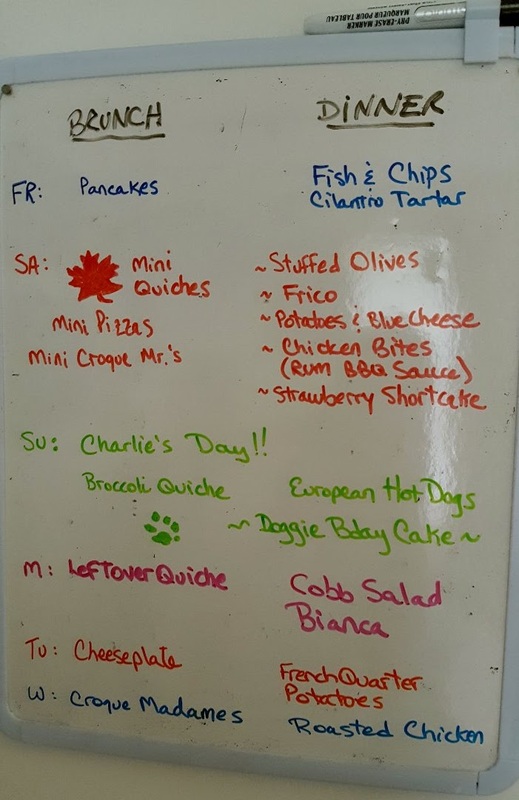 So much going on at your place. I'm too busy with our house these days and everything else has taken a back seat. I can't wait until we're fully settled in our new home and I can get back to things I used to enjoy. And who doesn't recognize the Hudson's Bay Blanket just from those colours? Totally Canadian. ugh. yer killing me with the pizzas in your last post - sooooo cheesy and gooey! and i'll take 2 cover-ups and 2 meadow sweaters (we called those "mary maxims" growing up!). so there - you already have 4 orders and i'll take a few of your paintings. but yer gonna need an etsy shop for that, or set up a website or add a page here on your blog. i won't participate in the group because we have 3 separate scribblers for short-term jobs, mid-term jobs and long-term jobs...but i love your list of projects and can't wait to see you fulfill them! You are such an inspiration! I wish I had half as much energy and "want" as you do! Well, I have the "want" but little to no energy when I get home. Its funny, I was going to do an Instagram post on my knitting. I don't knit for me, I knit for the homeless. But now I really WANT to knit that Hudson Bay blanket. I have a few actual wool ones but would love to do a knitted one! :) I need to retire. So many great projects, but the one that really catches my eye is the Hudson's Bay knit blanket! So iconically Canadian! And hey, what's the difference between a croque madame and a croque monsieur? Is it just the type of cheese used in it? Hi Debra :)) I just remember my grandparents having HUGE Hudson's Bay blankets on their beds. They were really old school, separate bedrooms, which worked for them because they were married 66 years! Anyway...I MUST make one! :) The croques, well, from what I know, they are both ham and swiss on a baguette...but the monsieur has a thyme bechamel sauce on it whereas the madame has a cheese sauce with a fried egg on top. We haven't had the madames officially yet, but I did take that cheese sauce idea for the monsieurs, which really adds to the flavour. We found the bechamel sauce too floury. See...this is where I get creative. I rarely buy the recommended yarn, that's the truth! Maybe I'm just a cheapskate, but I always buy less expensive similar wool. As long as it's soft on my hands and it's the right size, I'll buy Walmart brand. Doesn't matter to me. If I buy a nice worsted or Aran yarn, as long as I can wash it, I'll be happy with it. If I calculate say 90" x 90" (for a Queen sized), I would likely need 5000 yards of yarn. Don't quote me though, when I'm ready to knit it, I'll calculate more accurately! (I just did a quick search for measurements and yardage, I could be completely off). The type of yarn I got for my beach cover up is similar to what I'll buy for the blanket, it's $2.99 for a ball of "approximately 360 yards" so if I calculate that by 14 (for my 5000 yards or so), I'm looking at about $42 of yarn. But it also will depend on the size of my needles and gauge too...how is that for being vague??? I love this YOP idea!! I especially love the knitting projects! I have mastered creating unfinished projects. You. Are. Amazing! The projects you have set out for yourself for this next year are so interesting . . . and diverse. And I have a feeling you'll be successful at all of them. Your posts have always inspired me in many ways and this one is no different. 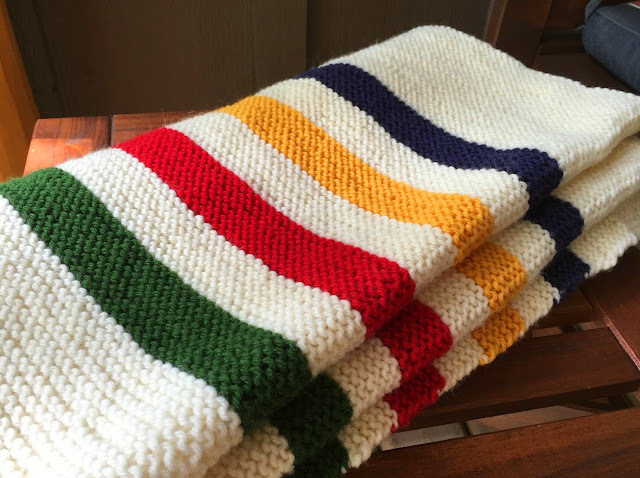 Could you tell me where to get the pattern for the knitted Hudson Bay Blanket? I'd love to make that one for a couch afghan for winter time. And wouldn't it make a darling baby blanket for a little northern babe! My daughter has a genuine blanket and she found a set of towels made in the same pattern which I think are great. Looking forward to watching your progress on these projects. You've even got me thinking of doing something like it . . . hmmmmm. I haven't painted in a long time but I have found that sometimes a break from painting actually helps when you eventually start back, kind of like seeing things differently. I have too many projects going at once. Hi Jenn :)) Ha ha, that's why I stopped knitting a long time ago, the only projects I could finish were tiny little decorative things and maybe a pair of fingerless gloves! I had about 6 different scarves going at once at one point...it's cold here, but I don't need SIX. Hi Gill :)) When I stop painting, I find excuses not to start again, which is odd because I do love it. I found that I've been the most creative when I paint regularly. But you're right, because when I stopped oil painting, I opened my eyes to acrylics and those possibilities, same with the watercolours. What an interesting list. Those knitting projects are big ones. I get achy wrists mostly from using the mouse of our laptop. I make sure to do my various, knitting stretches before I start reading blogs and before I knit. I actually changed my knitting to the Portuguese style (by Andrea Wong) via STITCHES West (she also has a Craftsy class). It's been about 4.5 months since I took her class and I've adapted well. I hope to knit with two colors this way. Glad you joined in. I'll be interested in seeing the progress of your list and hearing about your life in the mountains. Hi Stefanie :) Thank you :) You're very smart to stretch before computer time and knitting. I'm going to start doing that too. I'm usually okay as I go, then right before bed, my hands just ache to the point where I'm nearly in tears. The Arnica does help a lot, but maybe the stretching will help even more. I appreciate that suggestion. :) I just looked up a video and watched Andrea Wong doing her Portuguese style of knitting, thanks for that suggestion too! I love the hudson bay blanket - one day I would like to knit that too. You have such great projects, and I love your paintings and artwork. I am on Ravelry, I just haven't joined that group (yet). I have a crochet sweater pattern I've wanted to do for a few years, but want to get a few other lingering projects finished. We have a king bed, so making a cover (crochet or knit) is not in my plans just yet. It would probably take me many years to finish it, ha ha ha! Looking forward to watching your plans proceed. Hi Nik :) Yeah, it would be nice to have some of those official blankets, I just love them, but they're so expensive! I hope mine turns out well :) You should take up knitting again in the winter, you made some nice hats back when you guys had the store! Thanks Mary-Anne :) The blanket is my big one this year...considering I haven't really knitted much in my life, I hope I'm not taking on too much!! Thanks Kristina :) I'm wondering how long my first project will take. It's for the summer so I hope not more than the rest of July! The blanket though..that'll be a long one! Hi Dianna :) I haven't found a pattern yet for a full Hudson's Bay blanket, so I'm totally going to wing it. I can't wait to start it actually but that will definitely be a winter project! I think most of the yarn shops have knowledgeable people to help. We only have one here in the entire Laurentians and it's a 90 minute drive away. I went there a few years back and the lady knew everything from top to bottom about knitting. She even offered a half an hour tutorial for $10 if ever you were stuck on something. Mind you it's all in French, but it was nice that she offered that service! I'm definitely going to try to work it out myself...but if I'm stuck, I'll go see her. I'll be posting my pattern as I go as well. I want to start just after Samhain...maybe before we'll see. I hope to have it done by the new year! What a wonderfully diverse list. I love the knitting projects, especially the sweater. 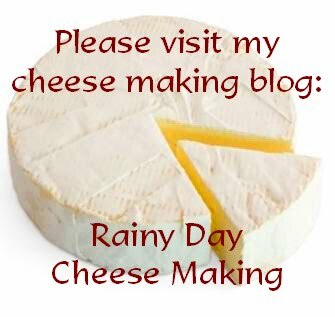 And cheese making sounds brilliant - I am really looking forward to reading about your cheese making exploits - you must link those posts so we can find you easily! Thanks Nancy! :) The only way I stick to things is if I list them, otherwise I forget or feel overwhelmed. Rain, what lofty projects you have set for yourself. I would really like to get into painting myself, even if its all just abstract stuff I end up doing. Well here is wishing you all the best and success with everything you lay your hands on. Warm greetings! Welcome aboard, Rain. That sweater looks great, I might have to add that to my own list. 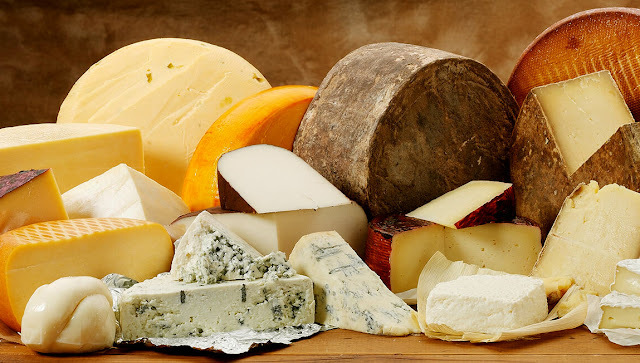 Looking forward to reading about your cheese making adventure, that's something I'd like to try as well some day. Thank you Ella :) The sweater is very comfy looking. I like hoodies, being in the mountains, they come in handy :) I'll be trying more Mozzarella this weekend! Thanks so much, Rain, for the links to the Hudson's Bay Blanket patterns. 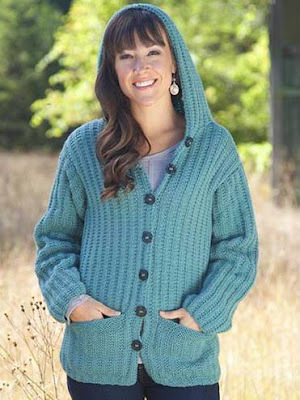 I'm really, really tempted to knit the one using all garter stitch! How did I miss this???? I'm so happy you joined in and I hope you enjoy it and get lots of motivation, support and inspiration like I do! Look at your awesome projects! You are ambitious...I have yet to make a garment except for socks. Also, I have pinned some Hudson Bay blankets to make like my Beatrix Potter or the one you have in the picture which is knitted...gorgeous! Actually, I've knitted a pair of Hudson Bay socks! LOL! You can see them on my Ravelry Project page. 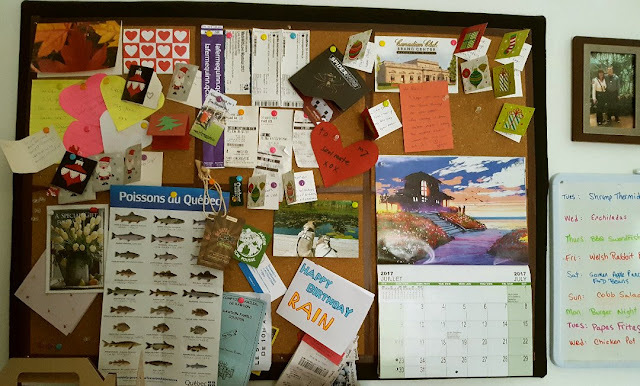 I love your 'bulletin' board projects and of course the cheese....I know...blue cheese is one of my favs! Love your organization center on the frig. I pinned that to my organization board on Pinterest....love it! 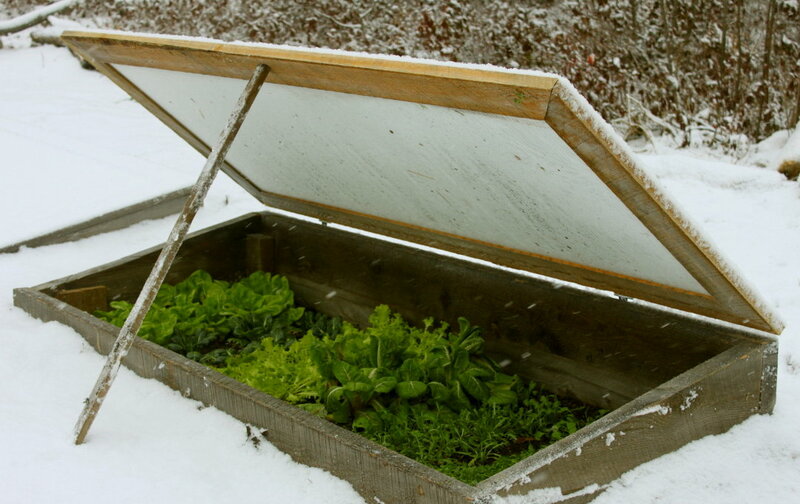 I had plans of making my own cold frames years ago. I did build a 3-bin composter but moved from the farm before I got the cold frames built. I have a gardening book that has instructions but now with Google and Pinterest it is so easy to learn anything you want and You Tube too....I would not know how to knit if it wasn't for the internet! LOL! I'm so excited and I can't wait to see what you post this week #3! Hi Sam :)) Oh thank you for all of your support and for suggesting the Ravelry group! :) OMG I just looked up your Hudson's Bay socks, they are amazing!!! I'm really not good at socks, but I would LOVE to try those!!! Everything Hudson's Bay lol!!! I hope I can achieve the Blue Cheese in the next year, but it's very iffy. I don't know that I have the set up for it right now, but I got some good advice from Mama Pea who encouraged me to look for an old used fridge and rig that up for a "cheese cave" in the basement...which is an investment for me, but I think a good one.